That one time I stepped into a woodland dream. This is a look from the archives, taken sometime back in the summer, when my hair was shorter and the days were longer. I felt very inspired by the tranquility and stillness of the woods situated a couple hours outside of LA. 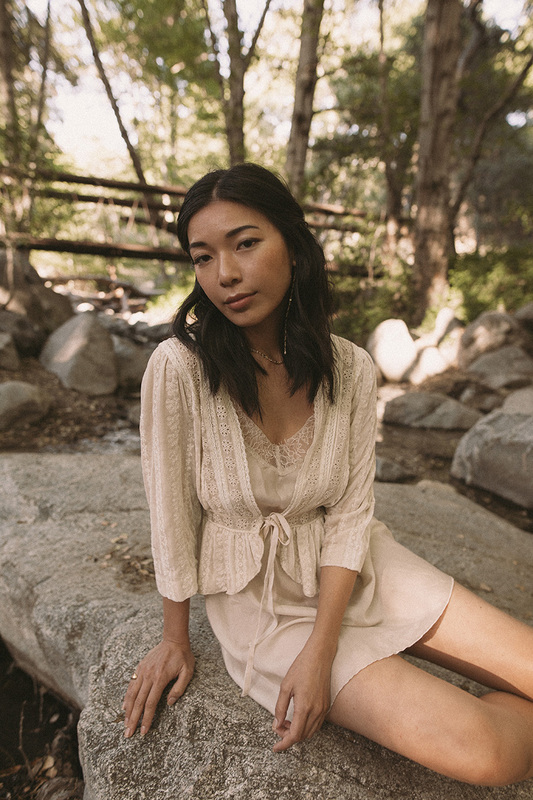 Soft silk and velvety lace come together for an easy, elegant look in an arrestingly beautiful scene. 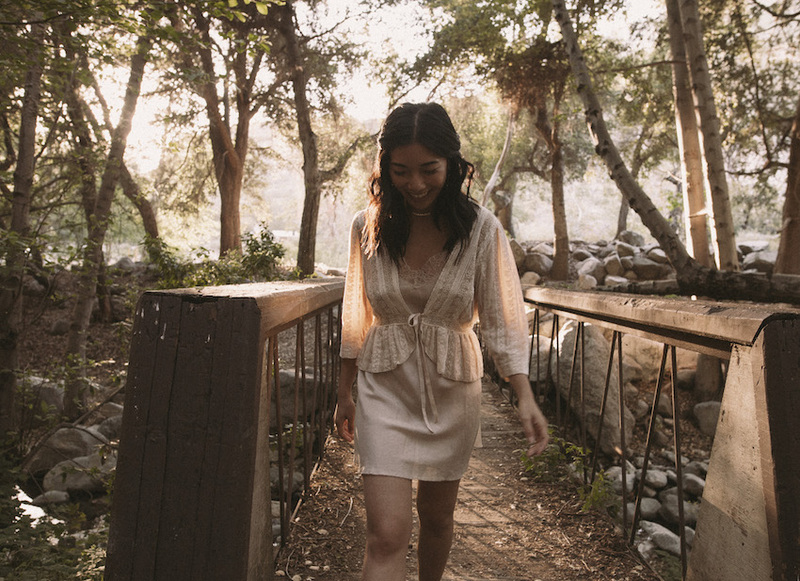 Both pieces are by Love Johnny Was, an affordable brand that delivers romantic, boho pieces week after week; keep checking their New Arrivals for more pieces like these! I love how romantic this outfit is! And these photos are just so dreamy!